BERKELEY, Calif. — With a body the size of a fist and wings that span more than a foot, the big brown bat must gorge on 6,000 to 8,000 bugs a night to maintain its stature. This mighty appetite can be a boon to farmers battling crop-eating pests. But few types of bats live on American farms. That’s because the current practice of monoculture – dedicating large swathes of land to a single crop – doesn’t give the bats many places to land or to nest. A network of small farms and suppliers selling especially fresh food can produce inexpensive food! Produce prices at your local Chinatown are likely a fraction of what they cost at other supermarkets, and if you’ve wondered why, you’re not alone. In an investigative report for the Wall Street Journal reporter Anne Kadet admits she always assumed the low prices were a reflection of subpar produce. But a deeper investigation of New York’s Chinatown with author Valerie Imbruce led her to the opposite conclusion, and reveals the hidden truths behind the neighborhood’s fruit and vegetable supply chain. The markets reduce prices by negotiating bulk discounts from wholesalers, said Wellington Chen, director of the Chinatown Partnership Local Development Corp.
Markets also cut costs by eschewing extra technology and certain aesthetic choices—the Journal points out that shelves “are typically made of plywood and lined with newsprint,” prices are scrawled on cardboard instead of printed on stickers, and credit cards are not always accepted. Chinatown retailers also manage to cut costs by “negotiating bulk discounts from wholesalers,” Kadet notes. “I went to see the gorillas in the Congo,” Mr. Adams, 42, recalled recently. But he left his tour group and ended up meeting Rosette, who was working at a hostel where he stayed. 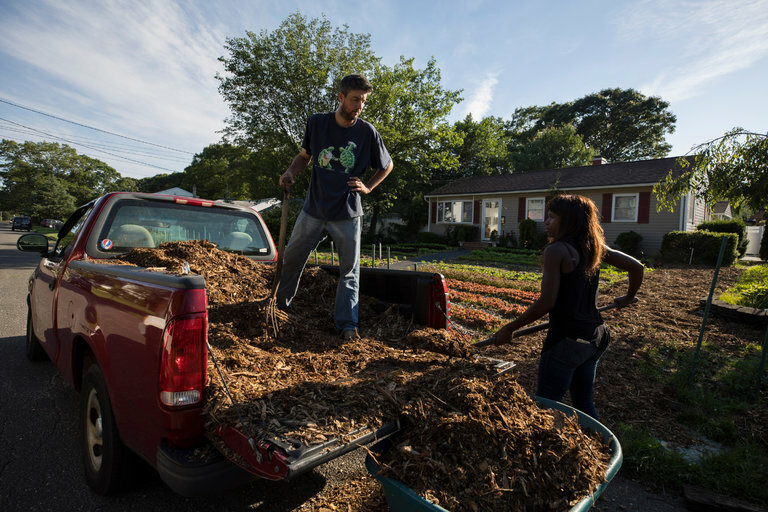 Today, the couple are trying to grow a business cultivating crops on suburban lawns on Long Island. Their business, Lawn Island Farms, is the result of research and a desire to find a way to farm on the island. With lots of ideas and little money, the Adamses began looking for land to farm. They started an online fund-raiser and posted fliers asking area residents to consider turning their lawns into small farms. The Adamses have received more inquiries than they can handle. For now, the couple is farming at two locations in Bay Shore: one is a homeowner’s front lawn; the other is behind St. Peter’s by-the-Sea Episcopal Church. They sent the additional inquiries they received to Pennie Schwartz, a home-farmer in Southold, farther east on Long Island. 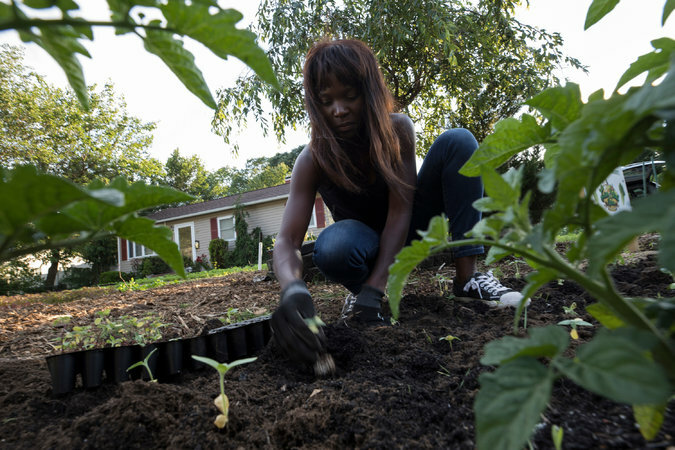 Ms. Schwartz studies permaculture, a phenomenon that she said “combines landscape design with sustainability and environmental ecology” — and holds a certificate from Cornell. Ms. Schwartz wants to set up systems that landowners can maintain independently; each system should meet the landowner’s needs. In other words, a family with children can still have a swing set. 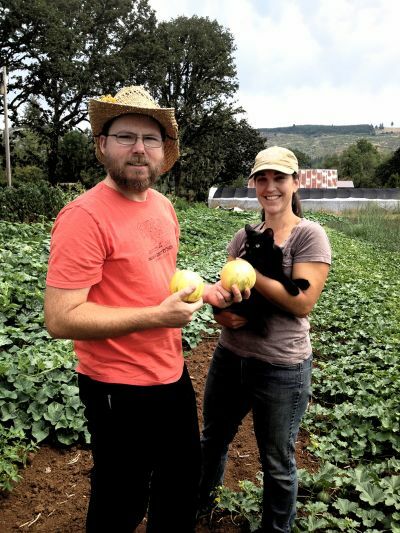 On the two properties they farm, Mr. and Mrs. Adams are cultivating crops that grow quickly and that do not require much space, like salad greens and radishes. One evening last month, the Adamses’ 9-year-old twins, Daisy and Curtis, ran through the front yard farm here on Hyman Street in pursuit of a rabbit. Mr. and Mrs. Adams had just planted sunflowers when the homeowner, Cassandra Trimarco, drove up. Ms. Trimarco, a physician assistant, contacted the Adamses after noticing their flier at a coffee shop. The term “local food” means many things to many people. For some it defines a particular geographic area, while for others it means good, high quality food. A recent survey published by the U.S. Department of Agriculture’s (USDA) National Agriculture Statistics Service (NASS) reveals that, varying conceptions aside, the local food market has matured into an economic driver for farmers and rural communities nationwide. The “Local Food Marketing Practices Survey” is the first ever survey conducted by NASS, in partnership with USDA’s Know Your Farmer, Know Your Food initiative, that provides benchmark data on local food marketing practices. NSAC worked closely with our allies in Congress to secure authorization for this survey as part of the 2014 Farm Bill’s Local Food Production and Program Evaluation Initiative. The Initiative was one of many provisions of the Local Farms, Food and Jobs Act bill, which Senator Sherrod Brown (D-OH) and Representative Chellie Pingree (D-ME) and their many co-sponsors helped secure in the last farm bill cycle. Some critics of the local food sector characterize the industry as being small, niche, and disconnected with the production agriculture sector. Others generalize that interest is limited to beginning, urban, and “hobby” farmers. The results of the Local Food Marketing Practices Survey, however, paint a much different picture. The survey, which includes information on both fresh and value-added foods such as meat and cheese, reveals that in 2015 over 167,000 U.S. farms produced and sold food locally through food hubs and other intermediaries, direct farmer-to-consumer marketing, or direct farm to retail. 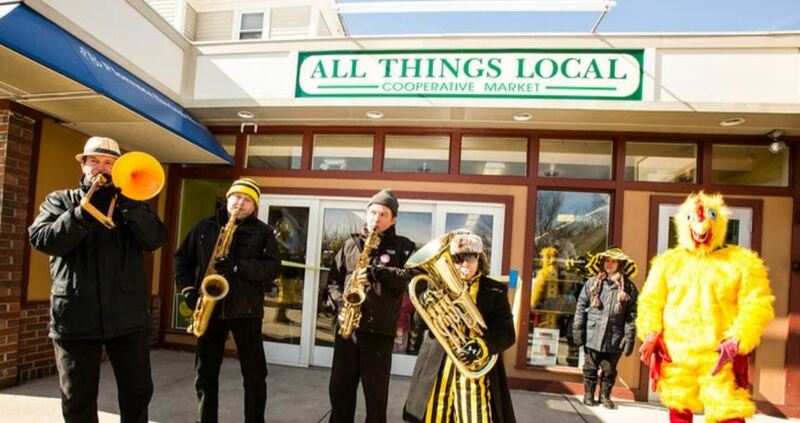 These sales resulted in $8.7 billion in revenue for local producers. To appreciate how truly robust this level of direct local food sales is, we can compare these figures with those of another agricultural sector that, though now well-established as an economic powerhouse, previously had to fight against the “niche” label – the organic industry. 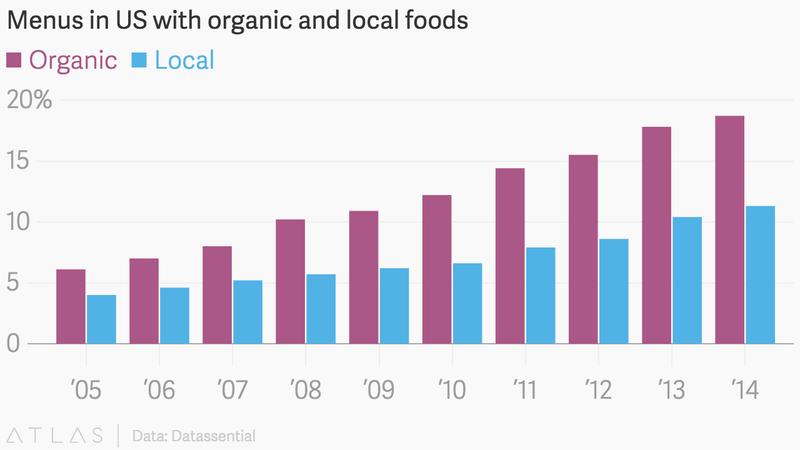 In 2015 direct, or “first point of sale”, organic revenues were $6.2 billion. This figure provides a strong signal that the local food sector is and will be a significant market and source of revenue for farmers going forward. According to the 2012 Census of Agriculture, the total market value of all agricultural products sold in 2012 was $394.6 billion. Local and regional direct food sales represented roughly two percent of the total value of agricultural products at the time of the survey. Subtracting out agricultural sales of products not consumed directly by humans (e.g., animal feed, tobacco, trees, cotton, etc. ), local food’s percentage of total direct sales grows to about 3.5 percent. According to a report by the Farm Credit Council using data from the 2012 Census of Agriculture, “if “direct-to-consumer” (a sub-sector of the larger local food market) were a commodity (e.g., cattle or grains), it would be the 4th largest commodity as measured by the number of farms engaged in the practice.” Direct-to-consumer sales is only one portion (one third of the total market value captured by the NASS survey) of the larger local food market, however. Given the industry’s strong sales record and steadily increasing consumer demand, the significance of this sector to the agricultural economy can no longer be denied. But what about the farmers? Could hobby farmers really be producing $8.7 billion worth of agricultural products? The short answer is – no. According to the NASS survey, 77 percent of farmers who used direct marketing to sell their products were established farmers, having farmed 10 or more years, with the balance representing beginning farmers. These seasoned and newer producers are the backbone of the local food industry and their rural communities. They are helping to drive the shift toward more healthy, local, and seasonal foods. Recognizing that past Census of Agriculture surveys were missing key components of the local and regional food economy, the Local Food Marketing Practices Survey was developed in order to create a baseline for the local and regional food economy. This information, in turn, would help producers, businesses, and policymakers make better decisions about investments in the sector. While the nature of the survey makes it somewhat difficult to draw broad conclusions about future growth in the sector, we can make some sound projections by examining the data on the value of agricultural products sold directly to individuals for human consumption. According to the 2007 Census of Agriculture, the value of agricultural products sold directly to individuals for human consumption was $1.2 billion; according to the 2012 Census the total had only risen slightly over five years, to $1.3 billion. The NASS Local Food Survey, however, shows a significant jump taking place just two years later. According to their data, the direct-to-consumer market had grown by $1.7 billion (a total of $3 billion in revenue) from 2012 to 2015. This dramatic increase in revenue reflects the growing consumer interest in local and regional foods and in direct-marketing outlets such as farmers markets and community supported agriculture programs. Although we cannot use changes in direct-to-consumer sales as a perfect proxy for the trajectory of the larger local food industry, the data do clearly indicate that the market is growing. This growth has been due in part by the efforts of the USDA to promote local and regional food systems, as well as by policies and programs championed by the National Sustainable Agriculture Coalition (NSAC), including: the Value Added Producer Grant program, Farmers Market and Local Food Promotion Program, Local and Regional Food Enterprise Guaranteed Loans, Farm to School grant program, and the Beginning Farmer and Rancher Development Program. The current Farm Bill is set to expire at the end of September 2018. Throughout 2017 and 2018, the Senate and House Agriculture Committees will be undergoing the complex and difficult work of writing the next farm bill. As Congress, the new administration, and farm and advocacy groups begin these discussions, the importance of the local food sector of the agriculture economy should not be underestimated. The 2014 Farm Bill included historic investments in the local and regional food sector that have undoubtedly helped, along with growing consumer interest and demand in all things food and agriculture, to drive growth within that sector. NSAC urges Congress and the new Administration to continue building on the successes of 2014 and driving growth in this sector and in rural America. We look forward to working with policy makers and our members and partners to ensure the continued development and prosperity of this important market and movement. As consumers pay more attention to what they eat, the desire for food produced nearby is starting to gain more traction. In a survey of more than 1,000 US consumers conducted by Cowen and Company, 39% of respondents ranked “where food comes from/’what’s in my food’” as either very or extremely important, beating the 29% who placed the same level of importance on healthfulness. And while both “local” and “organic” labels are (often mistakenly) considered indicators of health, 43% of participants said that they would be most likely to purchase groceries with a “locally sourced” label, compared to organic’s 19%. Online grocer FreshDirect has a “Local” section of its site that even lets consumers shop according to the state the food is from. While grocers and restaurants are trying to meet the demand for local food, factors like geography, logistics and weather can make this a challenge, especially if the menus weren’t originally designed with local ingredients in mind. LYFE Kitchen, a chain that incorporates sustainability into everything from its building design to the way it cleans tables, only realistically aims for 20-30% of its springtime ingredients in its New York location to be locally sourced, Fortune reported. Startups like Good Eggs and Nextdoorganics can get local groceries to individual customers in a handful of cities, but anyone that cooks or sells in large quantities faces bigger hurdles. The NRA recommends cultivating relationships with nearby growers, shrinking menu offerings, and managing customer expectations—all local, all the time is a nearly impossible goal for even the most dedicated eatery. Researchers J. Elliott Campbell and Andrew Zumkehr looked at every acre of active farmland in the U.S., regardless of what it’s used for, and imagined that instead of growing soybeans or corn for animal feed or syrup, it was used to grow vegetables. (Currently, only about 2 percent of American farmland is used to grow fruits or vegetables.) And not just any vegetables: They used the USDA’s recommendations to imagine that all of those acres of land were designed to feed people within 100 miles a balanced diet, supplying enough from each food group. Converting the real yields (say, an acre of hay or corn) to imaginary yields (tomatoes, legumes, greens) is tricky, but using existing yield data from farms, along with a helpful model created by a team at Cornell University, gave them a pretty realistic figure. Still, the study involves quite a few major leaps of faith because it seeks not to demonstrate what is possible for a given American right now but to lay out a basic overview of the ability of local food to feed all Americans. It’s not just projecting yields for vegetables grown on land that is today dominated by corn and soy. The biggest leap of faith is perhaps an unexpected one and is surprisingly underreported: Why do we even want to adjust our food supply to be local in the first place? “Local food is kind of largely rejected by a lot of scientists from earth and environmental fields because the greenhouse gas emissions from the transportation of food from the farm to the retailer is actually really small compared to all the other emissions,” said Campbell, an associate professor at UC Merced. (Zumkehr is one of his students; the two fused their research to attempt to answer this question.) We take it for granted that eating locally must provide a huge boost to our environmental bona fides, but if the only consideration is emissions from the trucks, trains, and planes that bring us food from elsewhere, we’re mistaken. Looking at our diet as a whole, the total amount of emissions that come from transportation is somewhere around 10 percent—hardly the biggest factor. The bulk of emissions emerge from the farm itself, from the actual growing and production of the food. To tie all of those new acres of vegetables imagined in the study to local consumers, each acre was assigned to a nearby city, with no overlaps. This is tricky, especially in dense megalopolises like the Northeast Corridor and Southern California; land in, say, northeastern Pennsylvania lies within 100 miles of both New York City and Philadelphia. “We added this optimization model that decided which units of land to allocate to which particular cities to maximize the total number of people in the U.S. who could be fed locally,” said Campbell. So that 90 percent number doesn’t mean that any given American can have 90 percent of his or her food needs met by local food, nor does it mean that 90 percent of all Americans will have all of their needs met by local food. Instead it’s a national average: In some parts of the country, people could have all of their needs met, but in, say, New York City, only about 30 percent of the people could have their food needs met by local food (assuming that we tear up all current crops and plant more smartly). Oddly enough, not all major cities have this problem. Chicago, for example, is a wonderland in terms of local food potential. “Chicago stands out. All the high-population cities seem to have lower potential, but Chicago has a lot of cropland around it,” said Campbell. Chicago’s advantage is partly because, unlike in the Northeast, Southern California, or even South Florida, it doesn’t have any major satellite cities nearby. But it’s also because there are a ton of farms within even 50 miles of Chicago, much more than in the Northeast, for instance. “This is kind of the first attempt to quantify what the potential is, so we decided with the first number to just see what the upper limit is, the greatest possibility,” Campbell said. This isn’t a change that we could just put into effect with a few clever laws or behavioral changes; it would require an overhaul of the entire economic system and would probably cause the collapse of the world economy as we know it. But that isn’t the point. The point is to have a baseline, an upper theoretical potential, of whether feeding the country locally is even possible. It certainly seems that it is. The next step, both for Campbell and Zumkehr and for the others that will inevitably riff on their work, is to refine this data. Right now it doesn’t include any climate data, for example: An acre of land in Michigan does not have the same growing season as an acre of land in California’s Central Valley. (Currently, the model takes an average of the annual production of each acre, but it doesn’t include any tips for how to conserve the harvest so that it feeds people above the Mason-Dixon Line during the winter.) Another issue: Our food preferences now are significantly global, and there are lots of important and popular foods that can’t be grown in the U.S. at all (think coffee or chocolate). It’s important to understand the limits of this study, but it would be equally foolish to disregard it. This is research that thoughtfully begins the conversation about legitimately feeding the country locally. It’s a conversation that’s going to get louder and more important in the years to come. Author Dan Nosowitz is a freelance writer based in Brooklyn. He has written for Popular Science, The Awl, BuzzFeeᴅ, Modern Farmer, Gawker, Fast Company, and elsewhere. Scientists, farmers, and chefs are developing new varieties of produce from heirloom seeds. 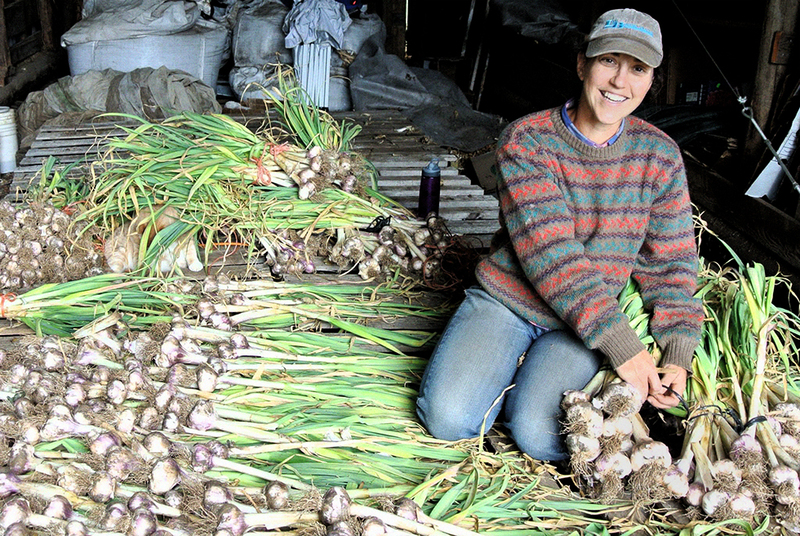 It will make life better for organic farmers—and yummier for everyone else. Kristin Ohlson has written for The New York Times, Christian Science Monitor, Salon, Smithsonian, Discover, Gourmet, and many others. Her book The Soil Will Save Us was published in March by Rodale. The 20th century saw the rise of a consolidated agriculture sector that demanded volume and efficiency. That led to a drop in the number of varieties available to farmers from commercial seed companies and the resulting handful of mass-produced vegetable varieties in our grocery stores. But farmer-entrepreneurs like Kleeger and Still have joined with plant-breeding scientists and even high-profile chefs such as Dan Barber of New York’s Blue Hill at Stone Barns restaurant to remake food from the seed up. Such collaborations could serve as a model for others around the country seeking good organic varieties for their own fields and kitchens. Already, Stephen S. Jones, a wheat breeder and professor at Washington State University, says he’s contacted at least three times a week by farmers in other states, seeking new varieties or wheat tailored for their region and needs. If successful, they’ll soon be providing more of us with fruits, vegetables, and grains bred to thrive in the various microclimates around the country—suiting the needs of small farmers, artisan bakers and brewers, and chefs—and with correspondingly greater flavor, texture, and nutrient density. In January, I joined 430 self-described “seedheads” at the seventh Organic Seed Growers Conference in Corvallis, Ore., hosted by the Organic Seed Alliance, a national organization based in Port Townsend, Wash., that encourages and teaches farmers to select and save seed, and organizes collaborations among plant breeders, seed companies, chefs, millers, brewers, and others both up- and downstream from organic farms. The conference thrummed with the buzz of farmers growing seed; plant breeders from universities; representatives of seed libraries, seed cooperatives, and seed companies of varying sizes; and seed enthusiasts from foundations, public policy groups, and student organizations. It confused me at first. Wasn’t organic seed just seed plucked from plants grown without chemicals, and if so, what was the big deal? Even though I skew heavily organic in my shopping and eating, it had never occurred to me to object to an organically raised tomato or cabbage grown from the seed of a nonorganically grown plant. I assumed organic cultivation rendered its origins moot. Over the course of two days of talking to seedheads from across North America, I discovered that there’s more to organic food than what’s aboveground. Organic farmers want organic seed for the same reason they want to grow their crops organically: They prefer seeds not produced with chemical fertilizers, pesticides, fungicides, herbicides, and other tools of industrial agriculture. Federal guidelines set in 2000 require the use of organic seed in organic production, but farmers are allowed to use conventional seed if it is not available commercially. Many certified growers still avail themselves of that loophole—there just aren’t enough good sources of these seeds. This is one problem Kleeger and Still are addressing. The bigger issue is that there aren’t enough varieties of wheat, lettuce, corn, or anything else, really, bred specifically for organic production. “The basic adage in plant breeding is that you breed in the environment of intended use,” explained Micaela Colley, OSA’s executive director. Conventional seeds cultivated organically are going against that adage, which places organic farmers at a disadvantage. In other words, crop varieties for conventional agriculture are bred to flourish in fields with intense chemical inputs—not just the vast rows of GMO corn and soybeans, our nation’s biggest crops, but also the smaller fields where tomatoes and spinach and other produce are grown. According to a recent survey by Consumer Reports, 84 percent of Americans say they buy organic at least some of the time. But when varieties aren’t bred for organic cultivation—in which roots need to be vigorous enough to scavenge for nutrients and stalks and stems must soldier on without sprays to protect them from insects, disease, and weeds—they’re likely to produce less. Plants grown organically from conventional seed don’t perform as well as they should be able to, or as well as conventionally grown alternatives. The lack of organic seed and of plant varieties developed for organic production may be one of the reasons that organic fields only occupy 6 percent of American vegetable acreage. Agriculture has been around for some 10,000 years, and until the 20th century, farmers saved seed that had produced desirable traits, such as sturdiness or large size, to plant again the following year. The practice changed food over the centuries as distinct varieties evolved in regions around the world, with modern plant breeders swapping pollen between two varieties with desirable traits, planting the offspring, and growing those that came out the best, generation after generation, until a new variety was stabilized. We know some of these older varieties as “heirloom” seeds, a term that began to appear in seed catalogs like Johnny’s Selected Seeds in the 1970s. Commercial hybrids developed in the 20th century had advantages: high yields, produce that ripened at the same time, uniform size and shape. Some transported and stored better. That suited the production standards of agribusiness just fine. But a generation of organic farmers turned eagerly to heirlooms in the following years for a number of reasons—not least of which was the food tasted better. Some non-heirloom hybrids worked decently in an organic system. But the U.S. Patent and Trademark Office’s 1980 decision to allow the patenting of life-forms, among other factors, led to consolidation in the seed industry. Big corporations started buying up small regional companies and increased their focus on splicing together traits to create patentable seeds (many of them with genes from altogether different species, ergo GMOs). Meanwhile, many of the hybrids that organic and other small farmers found most useful were soon forgotten. “The big companies narrowed their offerings to focus on seeds that have the largest market, such as varieties that either do well in a lot of locations or ones that are used in centers of large-scale agricultural production like the Sacramento Valley,” OSA’s Colley says. “But the varieties that have a smaller market share often have unique qualities [beneficial to] regional growers—say, sweet corn that ripens quicker in northern latitudes, which is not a sweet-corn-growing area.” In 2000 alone, more than 2,000 hybrids disappeared from the marketplace when Seminis—at the time the world’s largest vegetable seed company—bought several smaller companies. Now it’s part of Monsanto, which has stopped producing these hybrids. At the same time, one of the major avenues for developing new varieties was also shrinking. Land grant universities founded in the 1800s to help improve agriculture saw funding cuts and changes to federal policy, including the 1982 Bayh-Dole Act, which encouraged the transfer of publicly funded research to the private sector. 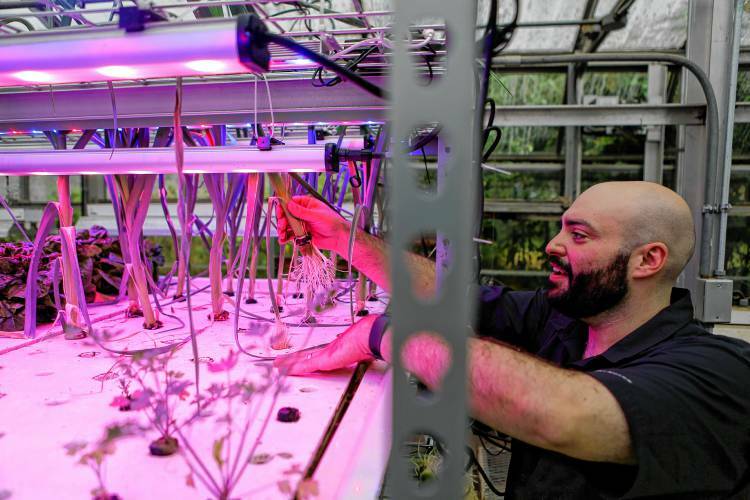 The number of researchers dedicated to cultivar development in public universities has fallen 30 percent in the last 20 years, according to a recent survey conducted by Bill Tracy, chair of the Department of Agronomy at the University of Wisconsin–Madison. “It blew my mind,” said Morton. In July, I visited Morton at the 70-acre organic farm where he raises seeds between rows of organic crops grown for food. He offers a dazzling 81 varieties of lettuce in his catalog, created by selecting lettuces with certain traits, crossing them, and then carefully breeding them for years. As we walked the fields, he kept an eye out for plants with yellowed leaves or other signs of disease, for plants that were puny, for plants laced with insect bites. Even if these plants had other desirable characteristics, he would not bother saving their seed if they were not vigorous enough to flourish under organic cultivation. Morton is a model for the kind of painstaking work good agriculture requires, as well as for the openness the new generation of seedheads expects. He does not patent his varieties. If other companies want to sell seeds grown from them, he wants them to pay him a 10 percent royalty. It’s a handshake agreement, and it’s worked so far. 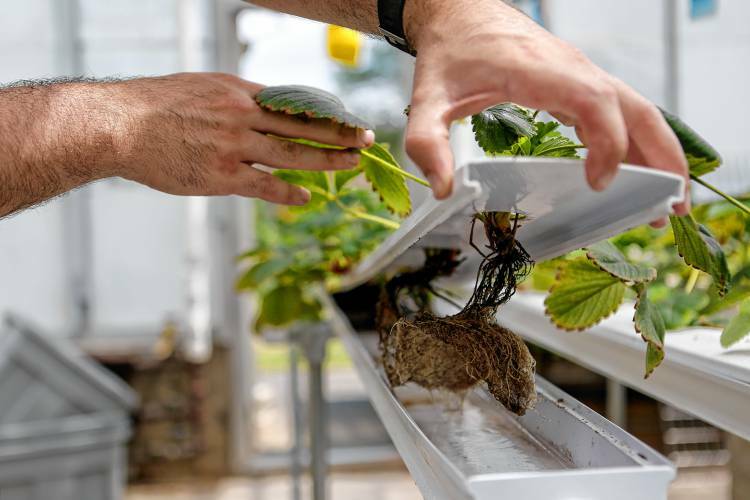 Morton assumes other breeders will shape new varieties from his and adapt them to other regions’ growing conditions and other customers’ flavor preferences. Which is to say he expects people to use his seeds as people have used seed for centuries. In 2010, organic vegetable farmers in the Pacific Northwest noticed that one of their favorite sweet peppers, an easy-to-grow, easy-to-harvest commercial hybrid called Gypsy, seemed to be disappearing from the marketplace. They were having a hard time finding Gypsy seed, and when they did, the resulting peppers were low in quality—a sign that a seed company has stopped doing the careful maintenance of the parent lines because it has lost interest in selling the hybrid. Gypsy was also beloved by area chefs, who started asking why they couldn’t find their red pepper of choice. All of this set off a sort of red-pepper panic, which soon came to the attention of Lane Selman. Selman is a research assistant in the Organic Vegetable Research program at Oregon State University and a researcher with one of the big OSA research efforts called the Northern Organic Vegetable Improvement Collaborative. Since NOVIC started in 2009, it has helped bring together plant breeders and researchers from Cornell University, Oregon State University, the University of Washington, Wisconsin-Madison, OSA, and the U.S. Department of Agriculture to work with farmers to breed varieties that perform well in the shorter growing seasons of northerly regions, where many organic farmers must start seeds in greenhouses and transplant the shoots to their fields when the weather warms. NOVIC wanted to develop varieties that might eliminate that step and even help farmers grow crops rarely attempted in these environments—for example, sweet corn in Washington. NOVIC set out to test varieties that could replace Gypsy. Selman soon discovered some likely candidates among the produce at the stand she manages for Gathering Together Farm, of Philomath, Ore., at the Portland farmers market. It turned out that Morton, in response to requests from his farmer friends at Gathering Together, had already bred five new sweet peppers that grew beautifully in the Pacific Northwest. Unbeknownst to the other farmers desperate for a successor to Gypsy, Gathering Together was growing them and sending them to market. NOVIC’s trials confirmed that Morton’s peppers grew as well as, if not better than, Gypsy. But every Saturday morning at the farmers market, Selman had to face another constituency: Portland’s picky chefs, who were still pining for Gypsy. So in October 2011—about two years before Dan Barber convened international chefs and plant breeders at the Stone Barns Center for Agriculture in Tarrytown, N.Y., to discuss the role of seeds in selecting produce for flavor—she invited Portland chefs to Portland’s Tabla Mediterranean Bistro for a special tasting of 10 peppers. At the end of the evening, the chefs’ top three choices were all Morton varieties, including one called Stocky Red Roaster. In late September, more than 100 farmers, chefs, and food aficionados cruised a party room in the back of Chris King Precision Components, a Portland bike factory. The event was sponsored by the Culinary Breeding Network, which was organized in the aftermath of the 2011 red-pepper tasting in Portland. 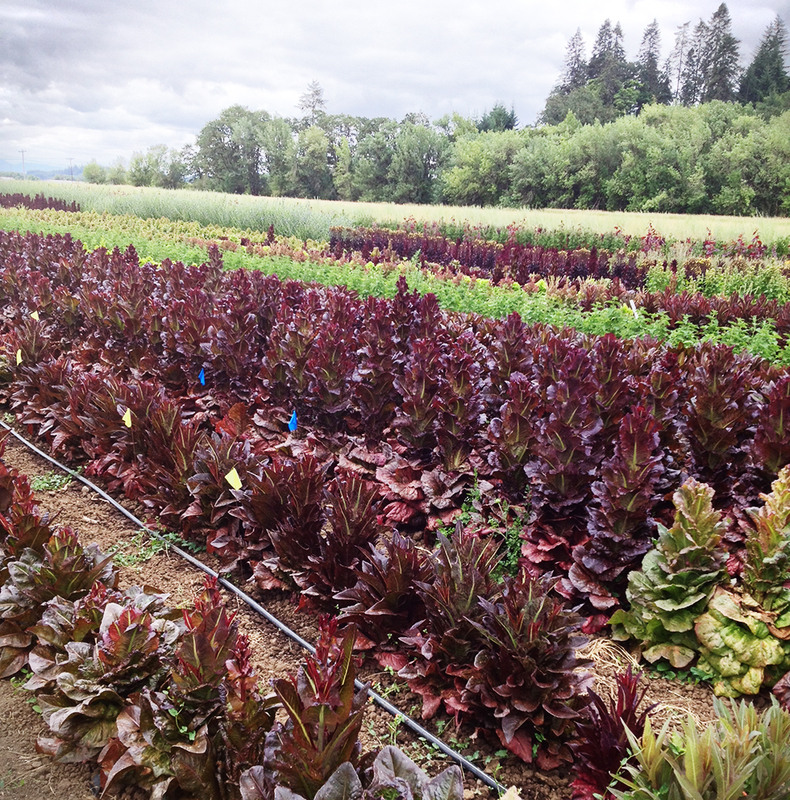 The group includes plant breeders, seed growers, fresh market farmers, chefs, and produce buyers who are developing a vision and an agenda for vegetables in the Pacific Northwest. 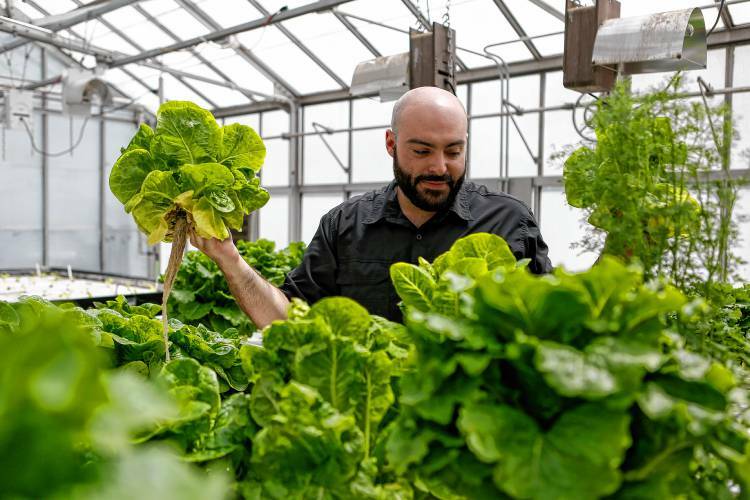 It’s a fusion of the agricultural and the culinary, of breeders, growers, and eaters, and it’s taking the concept of local food to an entirely new level. Twelve plant breeders had turned over some of their favorite new varieties to 12 chefs to see what they could come up with. The assorted grazers sampled dishes such as hominy and shrimp soup, polenta, and caramel popcorn, prepared by Portland chef Greg Higgens from the Amish Butter corn developed by breeders Anthony and Carol Boutard of Ayers Creek Farm in Gaston, Ore. Breeders also brought along samples of varieties in development. Guests filled out questionnaires: Which of the mild habañeros offered up at one table had the best flavor, color, shape, size, and pungency? How did the cherry tomatoes at another table fare in terms of appearance, flavor, sugar-acid balance, aftertaste, and skin thickness? The burgeoning network represented that night could provide new resources for farmers and may help the chefs it’s pulled into the mix expand the possibilities of local food and what it tastes like. There is so much going on, and we can’t list it all here, but for a complete list check out our Culinary & Agriculture Events calendar. Don’t forget, Topsfield Fair runs through Columbus Day, October 13. October 18 & 19: 19th Annual Wellfleet OysterFest! Thanks to the Massachusetts Department of Agricultural Resources for putting this list together!